Despite having severe scalability problems, Bitcoin remains the most important cryptocurrency with the largest market cap. Its high value has resulted in extremely high fees, and its high level of adoption resulted in transactions taking a long time to confirm, especially in 2017, when the network clogged and BTC reached ATH. Lightning Network aims to solve this problem by developing a technology that runs on top of the Bitcoin blockchain allowing almost instantaneous transactions with fees of less than one penny. Despite being a technology attacked by some members of the community (especially by users of Bitcoin Cash and its fork Bitcoin SV), the lightning network has a substantial number of advocates who are optimistic about the contribution that this development can have for the future of cryptocurrencies once it is fully functional. How Good is Lightning Network in Real Life? One of these supporters is Anthony Pompliano, Founder and Partner at Morgan Creek Digital. In one of his tweets, he published an open invitation to prove how efficient LN transactions were versus payments using traditional technologies. I wouldn’t be surprised if transactions go from wallet to wallet faster than the time it takes for a credit card machine to process the chip on a card that gets inserted. A researcher identified as JP Thor decided to answer Pompliano’s call and meticulously compared both technologies. The results were quite interesting, mostly because he studied different areas instead of focusing on one single case. JP Thor began by mentioning that taking the transaction processing capacity per second in isolation, Lightning Network is undoubtedly the winner, but to rely on this aspect alone would be unfair. The researcher concluded that there is not much difference at the level of payments, transactions, and UX. Apple (the fastest form of payment) is “a few seconds” faster although it may not be very noticeable; however, he clarifies that LN has the opportunity for significant improvements. Lightning Network is currently under development; however, the number of payment channels and the processing capacity of the network increases considerably. 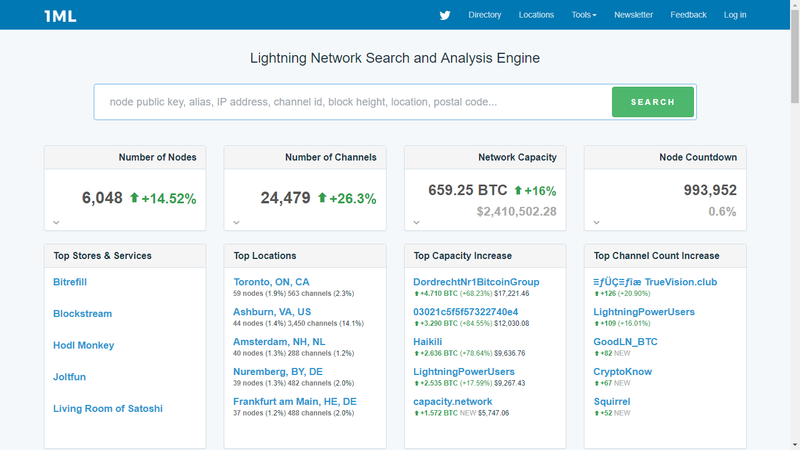 According to 1ml.com currently, the LN has improved its processing capacity by 16% in the last 30 days, with 24479 payment channels and 6048 active nodes.